Nowadays, social networking sites are being used not only to connect with friends or network with colleagues, but to serve as business platform as well, providing relevant exposure and many opportunities for branding and promotion. However, as much as business owners want to take advantage of social media for their branding requirements, many commit mistakes and instead do harm more than good to their brand. If you are a business owner who uses social media for branding, here are some mistakes that you should watch out for and avoid. While it is often nice to show versatility and post content of varying topics on your social page, it is still better to focus on a single thought to establish what your page is all about. As much as possible, blog regularly on your website and make sure to share the link of your blogs on your social media page. Not only does blogging create a thought leadership persona for your brand, but also enriches your social media platform. Additionally, it provides SEO benefits that can be derived from well written blog content. It is not enough that you post social media updates regularly. You must be mindful of what you post and who your target audience is. Publishing thoughtless content will give no direction, no theme, no purpose – and not even a hashtag! Using a serious tone on your posts can demonstrate competence, but a good humour can help bring in more followers and show them that there is a human behind the brand you are promoting. Make sure to add a little humour on your posts to encourage interaction among your followers. An effective social media branding campaign involves identifying the right audience and the right time to engage with them. No matter how beautifully crafted your content is, when you post it during an off-peak time such that no one will ever see it, then it wouldn’t mean a thing. 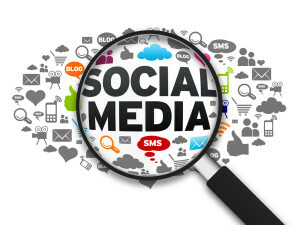 Social media can be a great platform to attract and engage with potential customers. Make sure that you are using it the right way.